What makes seniors such easy scam targets? 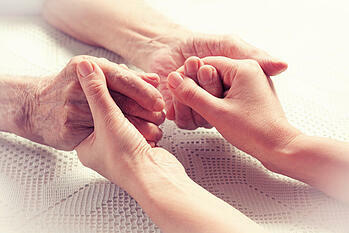 Elders are often more vulnerable because they simply trust people. It may be because that is how they were raised, or because they can no longer discern honesty from dishonesty due to sensory or cognitive deficits. Scammers know this, and target older people specifically because they are trusting. Seniors are vulnerable because they're often lonely, live alone or are otherwise isolated, and/or may be physically or mentally disabled as a result of aging. It's easy for scammers to endear themselves to their victims by posing as someone trustworthy. They can impersonate anyone, from the friendly telemarketer on the phone to a false "victim" seeking to tug on the victim's heartstrings -- and wallet. Cognitive or sensory disabilities like dementia, blindness, or difficulty hearing can make being aware and communicating effectively difficult for seniors. If they don't want to let on that they're having difficulty, they may agree with whomever they are talking to in an attempt to facilitate conversation. 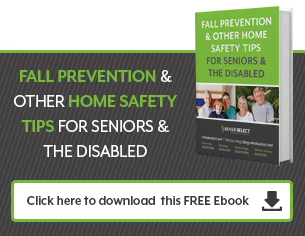 This can lead to disastrous results, simply because seniors may agree to something they don't even understand. Victims' first reactions to scams against seniors may simply be to do nothing if they've been targets. Why? Because they are embarrassed. They don't want to let on that they've been "taken," and may be especially worried about being perceived as weak or unable to take care of themselves if they are dealing with physical or cognitive deficits that make independent living increasingly difficult. Because all 50 states have some form of elder abuse prevention in place and because scams against seniors are considered elder abuse, they do have rights as victims – but they may not know it. What can be done to these types of scams against seniors? If possible, educate your loved one about this particular type of elder abuse. Scams come in all shapes and sizes, including fraudulent "home improvement" work that's also exorbitantly priced; the so-called "sweetheart scam," whereby pretend "suitors" regale victims with proclamations of love to gain access to valuable property, bank accounts, etc., and then disappear; the ever-common telemarketing or mail fraud; and fraudulently posing as legal authorities to gain power of attorney over seniors' property by intimidating, lying to, or even threatening seniors. If your loved one is not able to protect him/herself against these types of scams, you can do so yourself by stepping in and managing their finances yourself. You must take legal steps to do this, but it's important that you do so if your loved one is no longer able to do so for him or herself. Scams against seniors are a common and ever-growing problem. As the elderly population grows larger, so too will the group of scammers looking to make a quick buck at your loved one's expense. Fortunately, elder abuse laws can give your loved one recourse if such scams do occur, and you can also take steps yourself to educate and protect those closest to you.